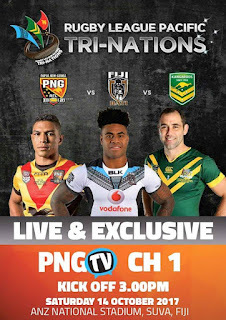 ClickTV’s free to view channel PNGTV has been awarded the exclusive rights to broadcast the Tri-Nations Series between the LNG PNG Kumuls, Vodafone Fijian Bati and the Australian Kangaroos. 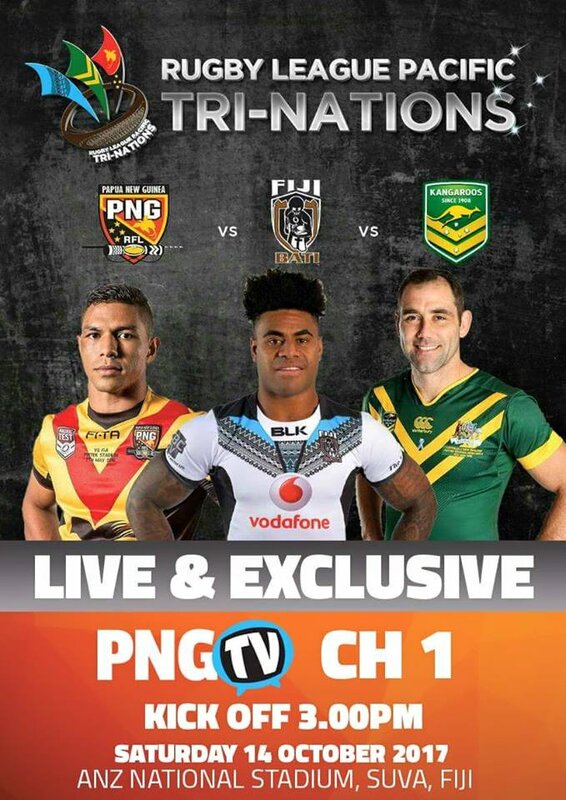 This means no other local broadcaster in PNG will be carrying the match except PNGTV. The LNG PNG Kumuls will play the Fijian Bati and Australian Kangaroos this weekend in a historic tri-contest in Suva ahead of this year’s Rugby League World Cup. The Tri-Nations series will be hosted at the ANZ stadium on October 14th, while the Rugby League World Cup will begin from October 27th to December 2nd. The World Cup will be held in Australia, New Zealand and Papua New Guinea. PNGTV is only available on the ClickTV platform.